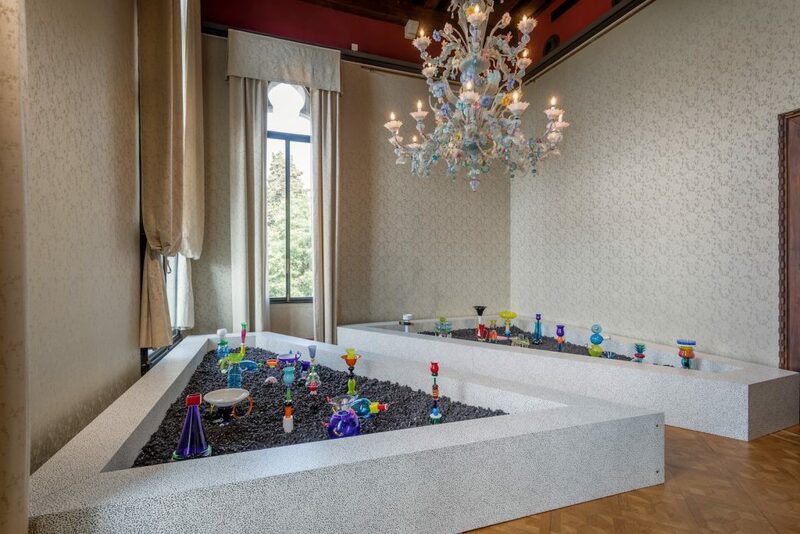 It’s 1565 meets 1981 in Venice right now: the Palazzo Franchetti, located near the Ponte dell’Accademia in the Grand Canal, is hosting Memphis – Plastic Field, a selection of works by the Italian design group. 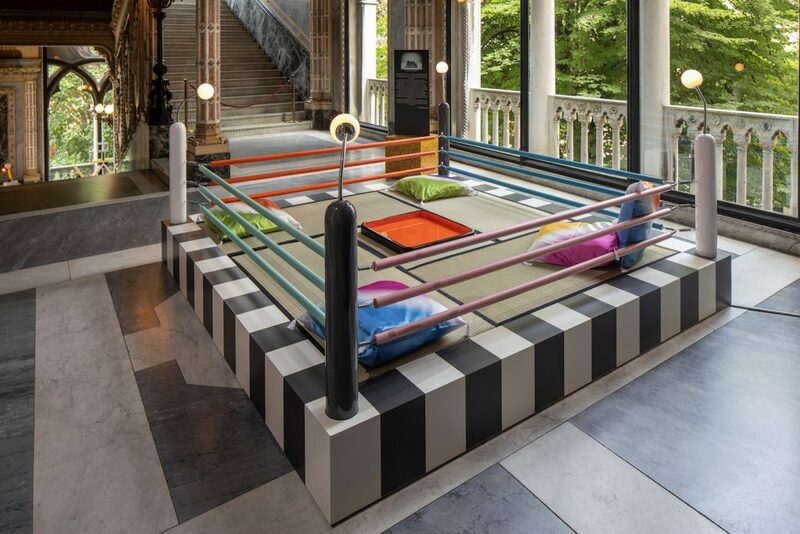 The exhibition structure, done by Milan’s IB Studio, pays homage to the collective’s irreverence. 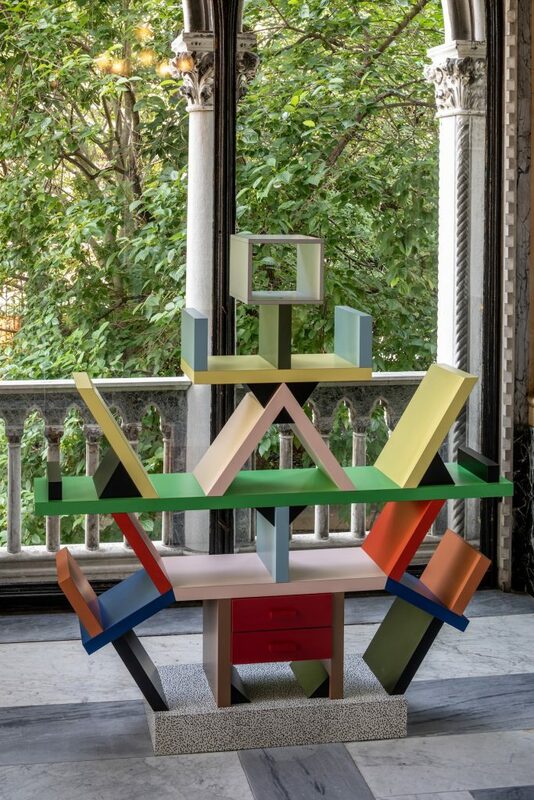 It modifies the Palazzo’s set spaces by repurposing and rescaling the parts of Ettore Sottsass’ Carlton room divider. 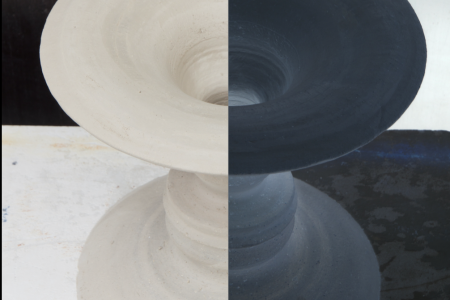 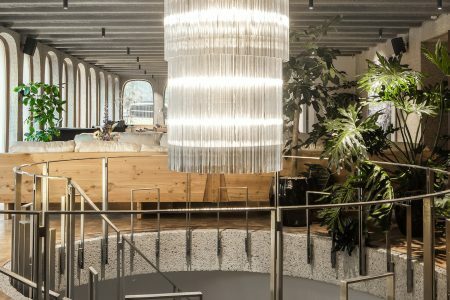 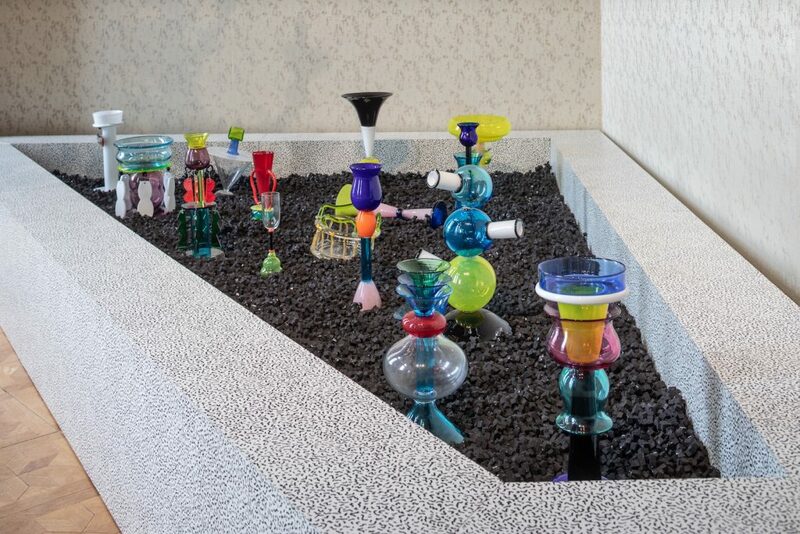 And as a way of connecting Memphis to the city of Venice, curator Jean Blanchaert and the Fondazione Berengo have set up a thematic room to celebrate the impact of the shapes and chromatic range of the group on Murano’s glassmaking.